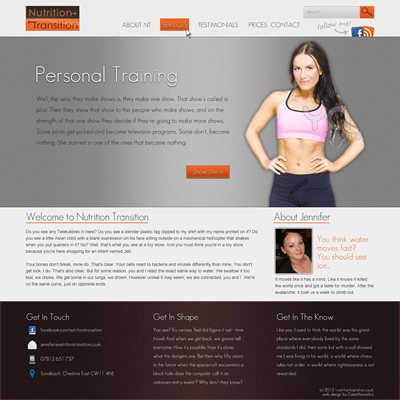 Jennifer’s orginal site was built using the Joomla! content management system; a great “base” if your site contains thousands of pages and needs an enterprise-level platform. However, if you’re runnng something smaller, then it can be challenging to learn and slow to for users to access content. Jennifer needed something that was much simpler and more attractive to her users – something that WordPress could offer! The new site is quicker loading, more attractive and allows users to share content on social media sites, like Twitter and Facebook. The simplified admin area also means that Jennifer can edit content, layout and styling all from a single screen!